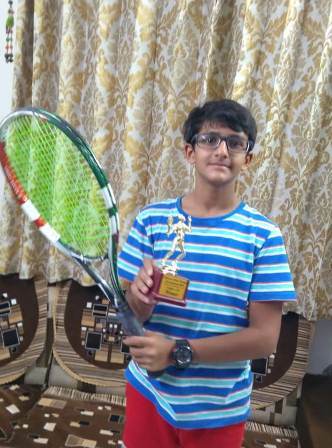 Anshul Patel of St.Kabir school-DIO,studying in 8th , bagged winning trophy in under -14 “Eklavya Tennise Tournament” on 1/12/2018 at Auda Eklavya in Ahmedabad. He was felicitated with a certificate and trophy that greatly motivated him. After this achievement, his level of enthusiasm has touched the sky for other upcoming events.